How Much Does Cancer Treatment Cost in Thailand? Cancer is a leading illness among the population around the world. When people are diagnosed with Cancer, not only does the disease itself take a massive toll on your body, but also choosing to undergo the treatment can be have negative effects on your body as well. For most people, a significant consideration is medical treatment expenses, this will depend on the type of cancer, the hospital used and treatment approaches such as an operation, a radiation treatment, a hormone medical treatment or chemotherapy, in addition to the duration of treatment. With medical technology advancement, innovative treatments, namely brachytherapy and targeted therapy, become the oncologist treatments of choice, but at the same time, they can come with high costs. Cancer is the No.1 cause of death among Thai people with an increasing number of new patients each year (an average of 130,000 new cancer patients, men and women altogether, per year). Based on Thailand’s National Institute of Cancer, it can be seen that the incidence of cancer in Thailand is still below that found in the United States. Cancer treatment among Thai citizens are covered with the three main health care schemes. However, certain treatments and medications must be privately paid for. In general, the cost of treatment in Thailand is lower than some western countries and the United States. Especially room rates and nursing service are cheaper (including stay in intensive care or coronary care units). Staying in a comfortable hospital room in one of the reputable hospitals in Bangkok will actually cost about the same as staying at a five-star hotel. When it comes to cancer treatment, prices vary dependent on the treatment choice such as, surgery, chemotherapy, hormone therapy and radiotherapy. Types of cancer is also a key factor in price variations. However, it is remarked that costs in public hospitals are usually 30-40% lower than that in the private ones. Meanwhile, private hospitals, especially those oncology-specialised hospitals, offer the state-of-the-art technology, facilities, and international-standard services at far higher rates. Some people with cancer will have only one treatment. But most people have a combination of treatments, such as surgery with chemotherapy and/or radiation therapy. It is normal to feel overwhelmed and confused with the treatment options and choices to be made. But, talking with your doctor and learning about the types of treatment you may have can help you feel more in control. When used to treat cancer, surgery is a procedure in which a surgeon removes cancer from your body. 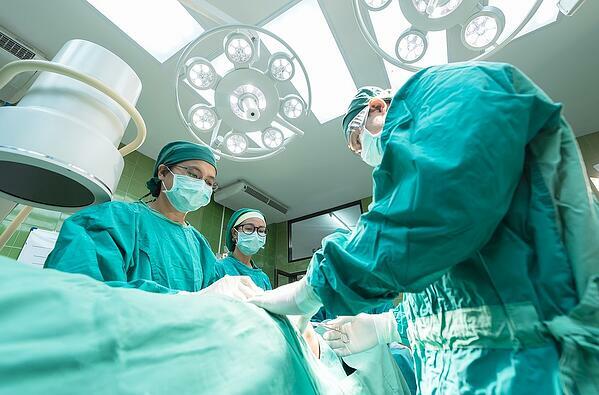 Depending on your type of cancer and how advanced it is, surgery can be used to remove the entire tumor, parts of a tumor and used to ease cancer symptoms. Radiation therapy is a type of cancer treatment that uses high doses of radiation to kill cancer cells and shrink tumors. This method not only kills or slows the growth of cancer cells, it can also affect nearby healthy cells. That means, this can damage to healthy cells and cause side effects. Brachytherapy, sometimes called internal radiation, is one type of radiation therapy that's used to treat cancer throughout the body. Chemotherapy is a type of cancer treatment that uses drugs to kill cancer cells. However, chemotherapy not only kills fast-growing cancer cells, but also kills or slows the growth of healthy cells that grow and divide quickly. Damage to healthy cells may cause side effects, such as mouth sores, nausea, and hair loss. 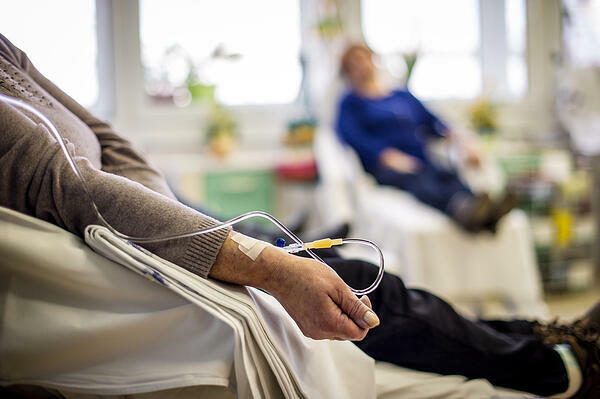 That may sound frightening, but there are many ways you can help manage chemotherapy side effects; and they often get better or go away after you have finished chemotherapy. The most expensive treatment for cancer. Targeted therapy is the foundation of precision medicine. It is a type of cancer treatment that targets the changes in cancer cells that help them grow, divide, and spread. National Cancer Institute of Thailand: The leading national institution for cancer control and patient care. Their mission is to develop and manufacture knowledge and technology for cancer and to create policy-oriented recommendations. Siriraj Cancer Center: The center provides comprehensive cancer care and treatment by a multidisciplinary team of cancer specialists, including physicians specializing in cancer and chemotherapy, radiation oncologist, surgical pathologist, anesthesiologist and dietician. Division of therapeutic Radiation and Oncology, King Chulalongkorn Memorial Hospital: This Thailand’s leading cancer center provides a world-class standard of care. In addition to our top-quality care, the Center also places a strong emphasis on doing research and training future specialists in radiation oncology – radiation oncologist, medical physicist and radiotherapist. Ramathibodi Comprehensive Cancer Center, Mahidol University, Faculty of Medicine Ramathibodi Hospital: Cancer specialists here are dedicated to providing cancer patients the best possible treatment and quality of care. Multi-disciplinary teams see patients whose personalised treatment planning is required. Wattanosoth Hospital: Bangkok Cancer Hospital: With 10 years’ experience as a private dedicated cancer care institution in Thailand, Wattanosoth Hospital provides quality service with regards to prevention, diagnosis, and treatment of cancer patients under the “Concept of Total Cancer Care”. BNH Hospital: For Onco-Gynecology, BNH have established a partnership with Chulalongkorn and MD Anderson from the USA. MD Anderson is one of the most reputable cancer centres in the UK. Bumrungrad Hospital: The renowned hospital is JCI-accredited and treats 1.1 million patients annually across a number of illnesses, including 520,000 international patients. Bangpakok International 9 Hospital: The multi-disciplinary care hospital offers an extensive range of procedures with an internationally-trained medical team comprises of more than 150 physicians. Oncology Center Phyathai2 Hospital: The hospital offers comprehensive medical services starting from diagnosis to effective cancer treatment provided by well-known medical teams and trained nurses. Also, modern tools and equipment along with MTD Team can give best results of treatment. Read our comparison on government and private hospital in Thailand here. Luma's health plans offer premium coverage for cancer treatment, to find out more download our brochure here.